If you want to decorate your commercial building, such as office space, workplace, and many other commercial areas, you need to learn about how you can paint your rooms. It is recommended that you hire a professional commercial painting service today. This service is ready to help you paint your commercial building completely. 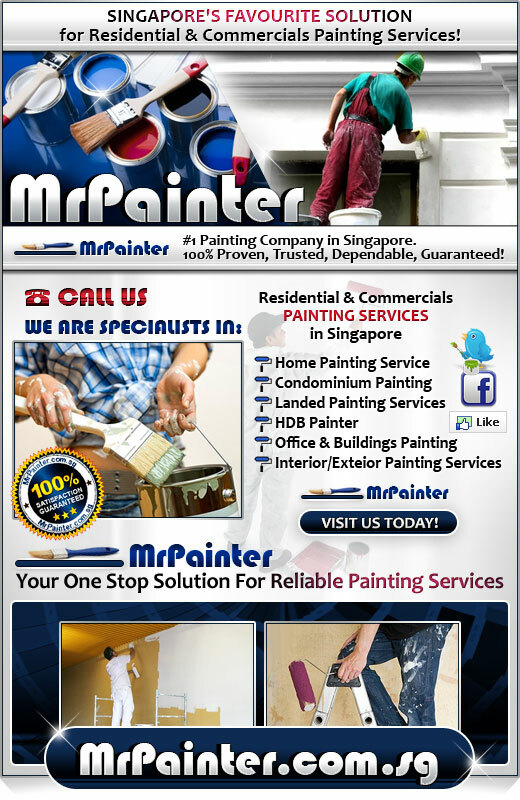 Mr. Painter is ready to provide the best commercial building painting service for all customers. 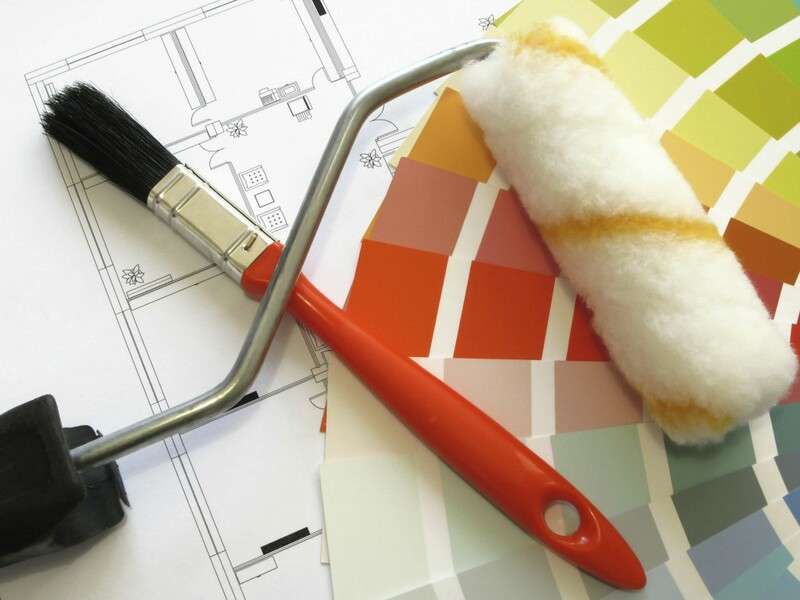 You can rely on the quality of our painting service company today. There are many people who are happy and completely satisfied with our painting service. Here are some good reasons why you need to select our painting service now. It is one of the most important benefits that we offer for all customers. Our company has some professional trainers who have a lot of experience in painting industry. Most of our painters are professionally trained, so they have a lot of knowledge and skills in this industry. Therefore, they know how to paint your commercial building quickly and easily. When you want to choose the best commercial painting service, you can consider using our professional service today. You can also discuss with our friendly painters, so they can follow your instructions easily. 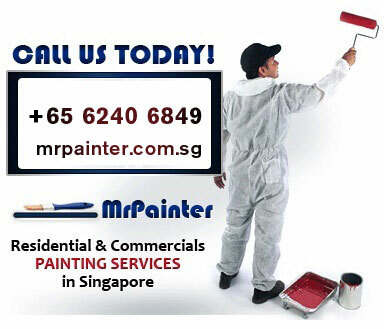 All painters from our company have proper license to work in Singapore. Therefore, you don't need to worry about getting any legal problems in the future. This is another reason why our company can be a great option for all users. We provide a lot of color options for all customers. It means that you can choose the best choice that is good for your needs. If you want to paint your office building, we recommend you to use some recommended colors, for example blue, green, and also grey. We also have some other color options that are suitable for your property. You can contact our company when you want to choose your favorite painting color today. Before you choose the best painting color for your office or commercial areas, you can also consult with our professional designers. They know how to choose the best color that is good for your needs. When you want to select the best painting service company, Mr. Painter is ready to help you paint your commercial building completely. We can offer quick painting progress for all customers. You don't need to spend weeks or months for painting your commercial area. In most cases, we are ready to complete the painting progress in a few days or hours. Although the painting time depends on many factors, such as building size, complication level, weather, and many other factors, we will ensure that we can complete all painting process quickly. We understand that most of our clients are busy with their activities, so we want to provide this quick service for all customers. 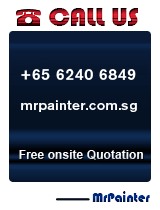 Mr. Painter can offer affordable painting service for all customers. You don't need to spend your money for enjoying our high quality painting service. We can help you find some affordable painting tools and painting supplies. However, you can still rely on the quality of our painting supplies. When you want to manage your budget easily, you can contact our painting company to ask about our quote. We are happy to provide this quotation for all customers without any additional costs. You can read all details about our painting service when you read this quote, for example labor cost, painting supplies price, painting tools, delivery cost, and many other related expenses. This is another reason why you have to choose our painting service company. Our company can offer 100 percent satisfaction guaranteed service for all customers. We will make sure that all customers are happy with our professional painting service. When you don't see any improvements or changes on your commercial area, we can re-paint your property without any additional costs. If you still feel uncomfortable with our services, you can simply contact our company. We can give you full refund when you are not completely satisfied with our painting service. Because of this warranty, many people are interested with our professional painting services these days. When you plan to paint your own commercial building, you can contact Mr. Painter today. Our company has complete painting supplies and tools. Therefore, we know how to paint any properties easily and quickly. You can rely on our high quality service, especially when you want to improve the overall look of your property. All of our painters have good knowledge and skills, so they are able to operate all of our painting tools or supplies correctly. We are ready to paint any types of commercial buildings quickly and easily. This is another reason why you have to select our professional painting service company today. If you browse on the Internet, you can find many good reviews about our company. 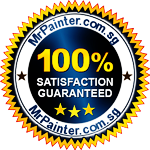 Mr. Painter is a reputable painting service company in Singapore today. There are many people who are happy with our service quality. You can read many good reviews and testimonials about our service. These good reviews show the reputation of our company. Because of this good reputation, you don't need to worry about hiring our professional painting service. The popularity of Mr. Painter is still growing from time to time. Many people want to use our services because they are completely satisfied with our high quality painting service. They are some good reasons why you need to choose us as your favorite commercial painting service today. We are ready to help you paint your commercial areas quickly. It is a great time for you to book an appointment with our professional painters. You need to book your schedule, in order to secure our available slots today. Our customer service representatives are ready to help you find your favorite painting service that is good for your needs. You can contact our sales representatives via our phone line easily. When you call our company today, we can provide free quote for you. 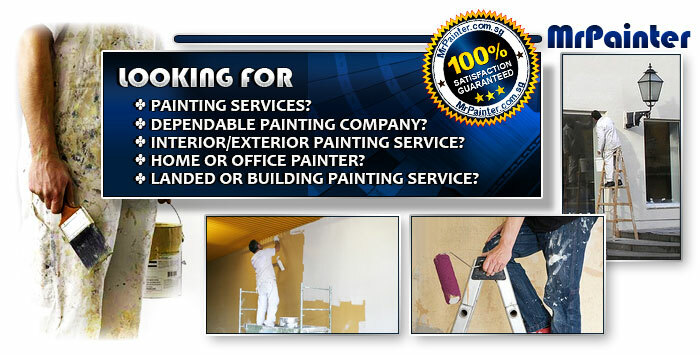 Looking for building painters? Painting the walls and ceilings are an essential phrase a space will go through from time to time, from painting them when you move into the new space or to maintain and patch the paint work which may have worn out from time to time. Here are some reason to hire professional help in building painting services and the things to take note of. First of all, you need to decide on the type of painting services to employ. Industrial painting services are very specialized compared to home, shop-houses painting services. This is because the industrial paint used needs to be air thoroughly to prevent toxicity which may occur if used at home or at shop-houses or offices. You can check over the phone about this issue by asking about the brand and type of paint that they provide. 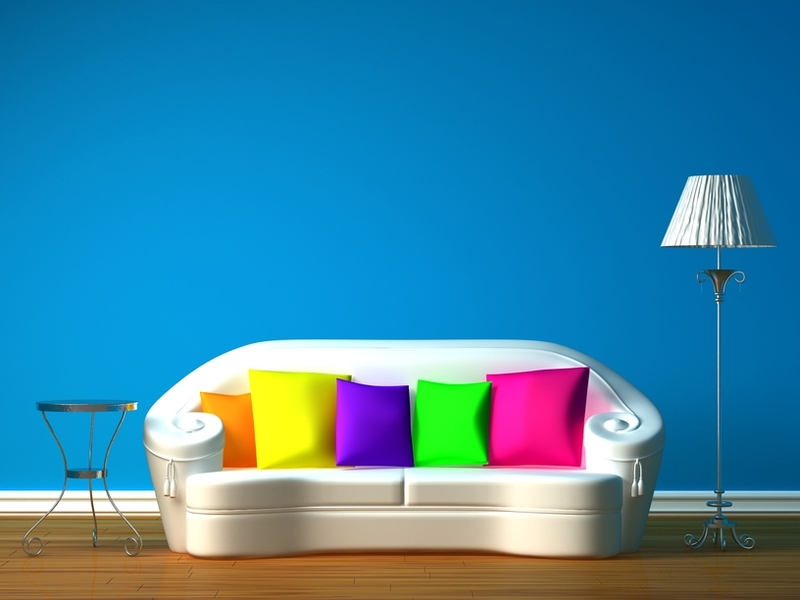 For places like home, look for paint which are recognizable. This is because these brands are catered towards home application and their paint is made to have lower levels of toxicity. Next thing to note on hiring building painting services is time. Generally, painting services should be sought out when the paper deal falls through. This is to provide both the tenant and the painting company to allocate time and discuss any limitations that may occur. This includes duration needed to paint and air the area to paperwork like permit from the government for work in that area. This is also a good gauge for you to source out the best possible price among the competitors and weigh which is the best bang for the buck. Planning early with the painting company also avoid scenarios where you need to fork out extra expenses to speed up the pace of work which not only lead to expense going to pay extra hired hand but also does not allow the paint to fully dry and harbour dangerous chemicals. The next thing to note is competency. Just like any services centered around homes and offices, always seek to find the best possible company for the job. This means hiring a professional painting crew of up to 10 people for a large area and 3 to 4 people for a home or a shop-house. Competency also includes having the necessary equipment for specialized areas. This includes long rollers for high ceilings and walls, to the smallest brushes to touch up those hard to reach areas. Check with the firms if they have the relevant experiences in doing a similar job like yours and seek out companies who upon request, provide referrals for you to check up if you are doubtful. This also means that if you need to paint a whole building, ensure that the company can provide safety harnesses for high-rise building painting. The last thing definitely to note is that the company does carry the colour that you need. A painting company will at times have difficulty finding a certain shade or brand of a paint and it is finally up to your decision if this is a deal-breaker. 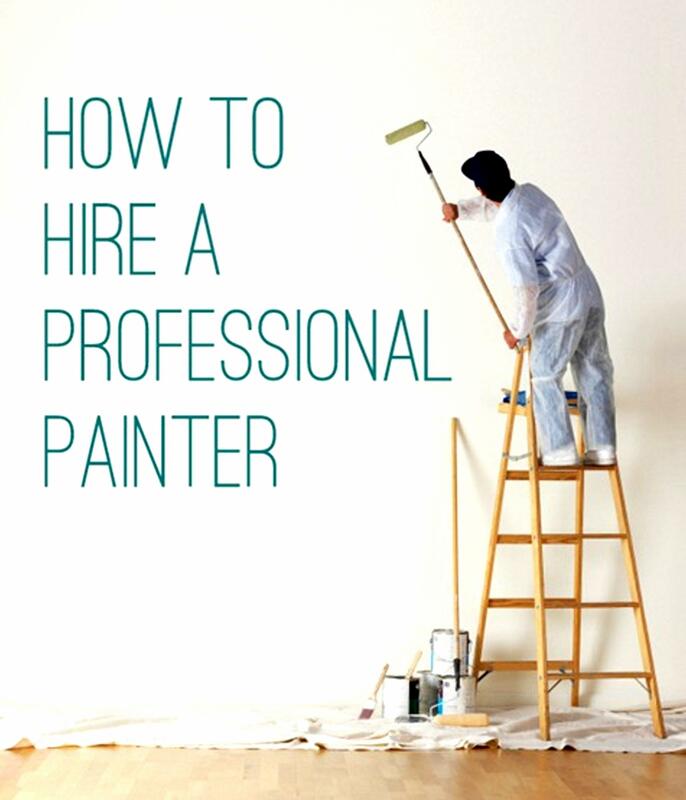 This could be avoided or brought up to light if the discussion started a period of time before the work which could give the hired company a chance to acquire the essential paint or finalize with you if another shade or brand is possible.